Place the frozen bananas, Du Chocolat, peanut butter and a pinch of salt in a food processor. Blend until smooth. 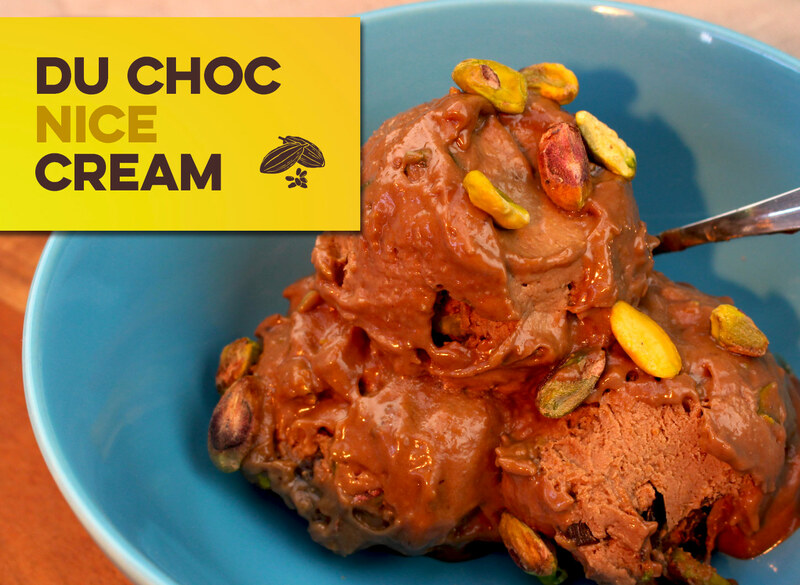 Remove to a bowl and add the chocolate and pistachios. Stir through. Either serve immediately, or freeze for an hour or so for a firmer texture.